I hadn’t made a white chili before, but it’s basically a standard chili without tomatoes…probably pretty obvious to those in the know, but I was always a little intimidated by the idea of a white chili. No need to be! This slow cooker chili is quick (prep time anyway) and incredibly easy. The recipe calls for precooked chicken, so it’s a great use for any leftovers you may have from a store bought rotisserie. So grab that margarita, put your feet up, and relax while this chili cooks all on its own. 1. 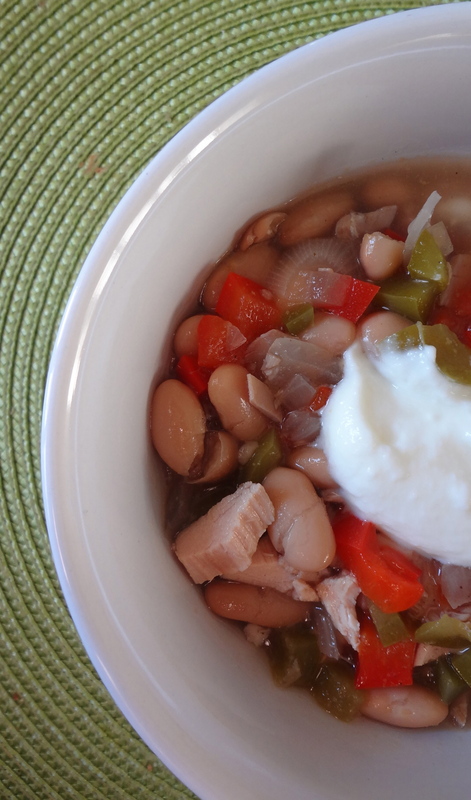 In a 3 1/2 or 4 quart slow cooker (it works fine in a larger one as well) stir together the beans, chicken, onion, bell pepper, jalepeño, garlic, cumin, and salt. Pour in the chicken broth and stir gently. 2. Cover and cook on low for 8-10 hours, or on high for 4-5 hours. Spoon into bowls, and top with your favorite toppings! 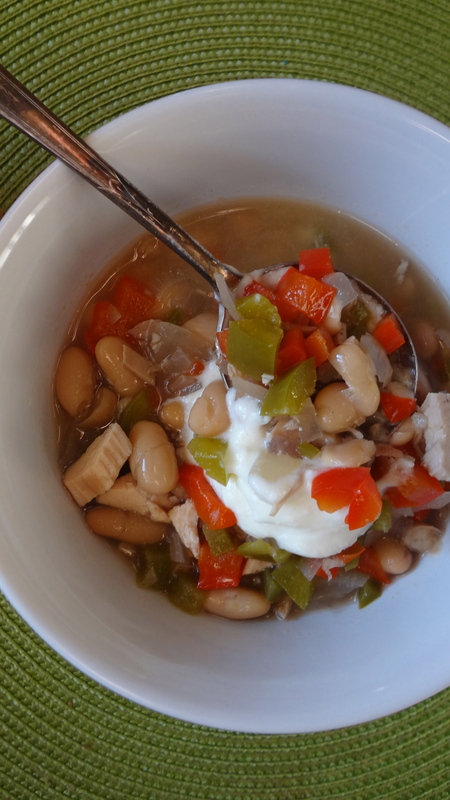 This entry was posted in Uncategorized and tagged chicken chili, chili, cinco de mayo, Cooking Light, Crock Pot, crock pot chili, Dinner, fast and easy, Garlic, jalepeno, peppers, white chili by theculinarycapers. Bookmark the permalink.